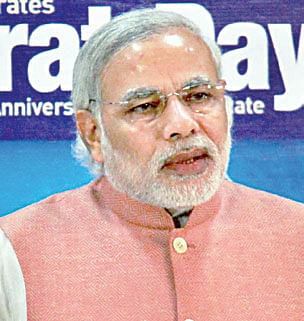 COLOMBO: Indian Prime Minister Narendra Modi will be discussing the repatriation of Sri Lankan Tamil refugees to their homeland in his talks with the Lankan leaders when he visits the island nation soon, the Sri Lankan cabinet spokesman, Rajitha Senaratne told newsmen here on Thursday. More than 100,000 Lankan Tamil refugees are living in camps across Tamil Nadu which are being maintained with funds from the Tamil Nadu and Central governments. No date has been fixed for Modi’s visit to Lanka, but media reports from New Delhi had said that it will take place in March. Among other subjects Modi will discuss here will be Indian participation in the building of a double track rail link between Colombo and Kandy; the construction of 4000 houses for Indian Origin Tamils working in tea plantations in Badulla and Nuwara Eliya districts. The resumption of ferry services between Talaimannar and Rameswaram, and between Colombo and Thoothukudi; the problems faced by Indian fishermen in the Palk Straitand the promotion of India-Lanka trade and investment would also be taken up during talks. Increasing direct flights between the two countries is also set to figure in the talks between the two leaders of the country. On the fishermen’s issue, cabinet spokesman Senaratne said while it is an issue of the Indian fishermen’s livelihood, the two countries will also have to take into account the fact that it is illegal to cross the international maritime boundary line and poach. “However a settlement has to be found through discussions,” he added. On the long delayed India-Lanka project to generate 500 mw of power at Sampur in Eastern Lanka, the Minister of Power and Energy, Patali Champika Ranawaka, said that the environmental impact report is awaited. Once it gets environmental clearance, the coal fired power plant will be built, he assured. The new Lankan cabinet which met for the first time on Wednesday, decided to go after black money stashed away overseas. To help Sri Lanka track down the money, the Maithripala Sirisena government has sought the services of the Financial Intelligence Unit of the Reserve Bank India, the World Bank and the IMF. “Top people in the previous regime had stashed away billions of dollars abroad. We don’t have experts to track them down, hence the call for foreign experts,” cabinet spokesman Senaratne explained. The Minister of Power and Energy Ranawaka said all projects whether Chinese or Indian aided, will be reviewed to find out if costs had been deliberately inflated and any regulations had been flouted, he said. He further said that no project has been suspended but they are being reviewed, he said.